Those who attended the previous round of the ECL Sprintcar Track Championship are no doubt still basking in the brilliance that played out before them as Bryan Mann made a winning return to racing, but not before Luke Oldfield delivered another dazzling display that saw him twice surge through the field, only to come unstuck in the final moments of what was a fantastic race. Lachlan McHugh backed up his win in round 12 with a second-place finish on this occasion, while national champ Andrew Scheuerle accumulated another big bunch of points in finishing fourth to extend his lead in the track championship chase. Determined to deliver a show for the fans, possibly at the expense of his championship aspirations, Oldfield opted to invert the feature race field after winning the Spanloc Dash, putting himself and McHugh on the seventh row of the grid. The decision, which saw Mann starting from ninth alongside Scheuerle, produced a superb spectacle and this quartet will face off again this weekend against another 25 drivers also trying desperately to find their way to victory lane. Others backing up this weekend following strong showings at the previous round include Brent Kratzmann, Anthony Lambert, Allan Woods, Peter Lack and Kevin Titman, all of whom finished inside the top ten, while Sydneys Michael Saller is also expected to feature prominently in the results. Unlike his fellow Sydney-based racers who are reluctant to venture too far from the security of their home track, Saller has been a regular at Archerfield over the last couple of seasons and he has been rewarded for his commitment with improved results both here and elsewhere, including a maiden feature race win. The Polar Ice Midget action is also shaping as a tantalising showdown as the likes of Darren Vine, Scott Farmer, Rusty Whittaker, Brock Dean and Callum Walker again do battle, with the latter looking to join the other four as a feature race winner in only his second Archerfield outing since returning from injury. Walker was spectacular in the previous round in using the highline (where real racers reside) to secure a second-place finish behind Farmer. A 17-car field will hit the track and there are several others in the line-up who have stepped up this season to announce themselves as contenders, such as the likes of Mitchell Rooke, Cal Whatmore, Tim Farrell and Riki Harrison, while Compact Speedcar graduate Bodie Smith has also shown plenty of pace and will be a threat if he can find the consistency needed to challenge top guns. Whilst Australian champ Liam Williams has been the dominant performer in the NuPave Formula 500 Series and it would be easy to declare another feature race win in round ten a forgone conclusion, to do so would fail to take into account the determination of his rivals in their efforts to usurp Williams from the top of the podium. Ryan Skennar, Tristan Johnson and Kristin Brown in particular stand out as potential spoilers, while Ron Barber and Bryn Upshall have produced some strong results in recent weeks. After a great start to the season, Tarhlea Apelt has struggled of late but will certainly be a threat if she can rediscover her best form, while the addition of occasional Midget racer Anthony Chaffey will add a bit of spice to proceedings. 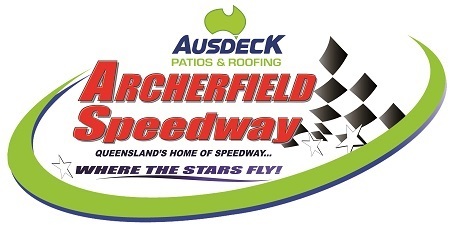 Only Sprintcars have produced bigger fields than AMCA Nationals this season and, despite the absence of a few regulars, that is again the case this weekend for round seven of the Shock Absorber Therapy AMCA Track Championship, with 19 cars set to do battle. Steve Potts, Steve Price and Nathan Durston lead the field with regard to experience and success, but the likes of Tim Gamble, Thomas Vickery, Lewis Gamble and Michael Mason are more than capable of holding their own at the front of the field. Fresh from a feature race win in Toowoomba, Nathan Politch looks the man to beat in Modlites, while Keith Blatch and Kurt Wilson will resume their battle for supremacy in the Lightning Sprint events. Gates open at 4.00pm (3.30pm for online ticketholders), with early racing from 5.00pm. Sprintcar time trials are scheduled for 5.30pm and the main program kicks off at 6.00pm, with the Blues versus Maroons Demolition Derby the last event on the program.